This chair is a private commission by Vladimir Kagan. 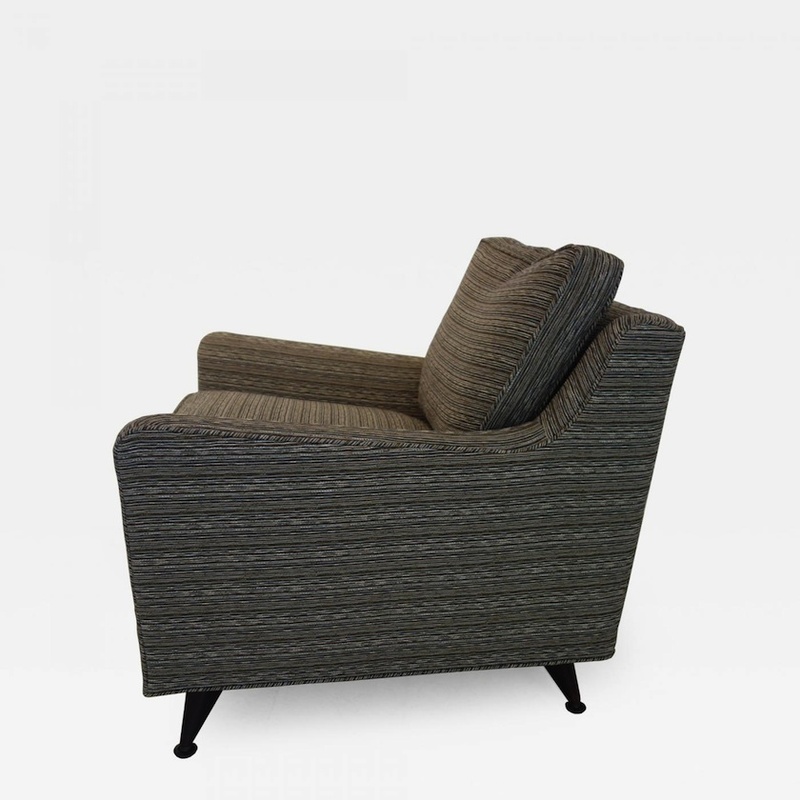 The lines of the arms and the curve of the seat are classic Kagan. It was purchased along with a classic Kagan Barrel chair from the same home. Kagan often did variations on his designs for private clients.